So you have been smoking for a while now and are thinking to quit. Well, that is awesome. We are here for your help. If you have made it your New Year resolution that you will be quitting smoking this year, we think you should really have a look into this article as it has been specially compiled for those people who are looking for ways to get out of smoking. Many smokers have an experience of vaping with companies like Vuse, MarkTen or Blu which are actually tobacco companies so their products might not work as they should for you. Don’t be sad, there are many other products which will help you in quitting smoking. 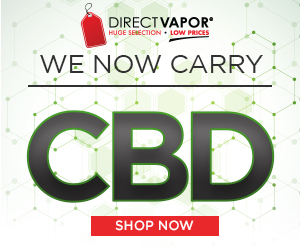 The article that we have compiled for you has all the researched data from the market and you don’t have to look into many products .we are narrowing it down to three for you so that you can make the best selection for you yourself. 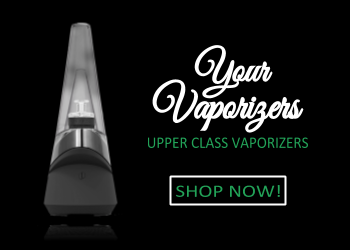 You will have the best vape to quit smoking at your hands in no time. Juul is one of the famous e-cigarettes in the market right now and there are many reasons for that. Take a look at them. The JUUL has been the leading vape kit for beginners for a long time and it has its reasons as well. Although it looks like a flash drive, the size of this device is what makes it so easy to use. One leading quality is that it gives you that hit which is present while smoking a cigarette. Another reason which makes it one of the best vape to quit smoking is the vast range of flavors. If you a buy a starter kit, you will be given four flavors which already have a huge fan following. The starter kit comes with a small portable charger and a mini pod containing the e-liquid. Follow the easy step to set up the Juul by putting the battery into the pod. The method to use the Juul is also very simple. It is actually a smart method which mimics that of a regular cigarette. It simply gets activated when you draw on it like on a cigarette. Though the amount of vapor that you exhale is equal to that of a normal cigarette, the quality and essence of the smoke will not bother anyone. The small battery of the Juul makes it very portable as its size is only 95 mm with a weight of 14 grams. We should be ready for a scenario though where the battery runs out and we are in dire need of a single puff even. So in order to stay prepared, we should calculate our usage and keep an extra battery with us. Though the battery recharges in less than an hour, still we need to stay on the safe side. For $49, you can get the complete starter kit. 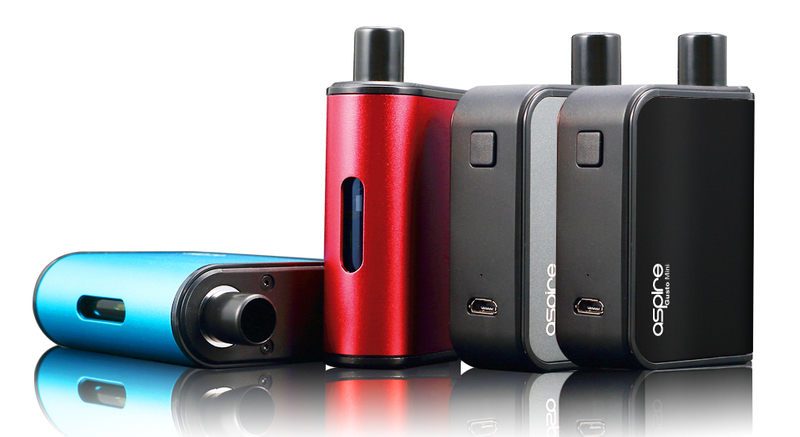 The Aspire Gusto Mini comes with a lot of perks. For starters, the size of the device is small enough to be hidden in the palm of an adult. With two flavors of Tribeca and Sub-Zero, the first being a mix of caramel and vanilla and the second being a famous menthol flavor, this device holds a liquid of up to 4.2 mL with 6 mg or 12 mg of nicotine (available in different pods size). You can reduce your nicotine consumption and enjoy considerable amounts of vape as well while using this device. It mimics a hookah in vape production and like a cigarette in nicotine hit but with just the right amount of nicotine and not so much. A strong battery of 900 mAh gives an impressive duration for vaping and it will need recharging only once a day. It makes your day even better because you can use it while it is charging. Above that, there is an extra battery with it as well and all this can be obtained for $20.18. The battery giving a range of 650 mAh with a system for pass-thru gives quite an uninterrupted good time of vaping. The SMPO has a flat and rounded body which makes it a perfect fit for hand and even for the pocket. With a specially built to fit in the mouth, the mouthpiece of the SMPO gives a very good feeling when being used. In looks, the device might not succeed the previous two mentioned in this article but the performance of this device is which made us put it on the top 3 list. If you are not a fan of high hits, the SMPO is the best choice for you. It does give a good vape compared to its size but even at 50 mg, the hit is going to be smooth. So keep this feature in mind. 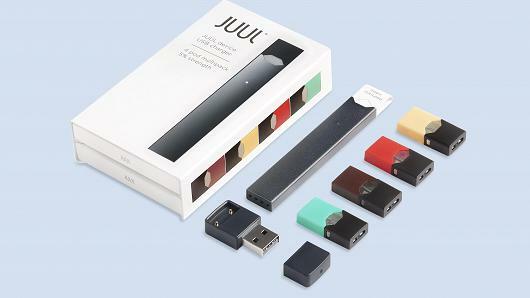 It uses the technology of smart draw just like Juul and that is a good thing. Because the smart draw allows you to vape in a very free mode. The smooth and consistent hits of the SMPO is a very good feature and you will like it as one cannot expect such a quality result from a small device like SMPO. If you are looking to lower down the nicotine consumption and also are thinking to quit smoking, then the two strengths for nicotine (1.8% & 5.0%) are going to be perfect for you. The only three flavors (Full Fruit, Menthol, and Classic Tobacco) reduce its marks in the exam of the best device to help in stopping to smoke. Though the classic tobacco is already available in the starter kit, we would actually recommend to go for the other two flavors. 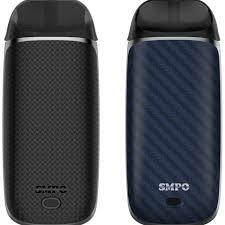 With pricing at $33.99 for its starter kit, the SMPO is a very good contender for helping you in quitting to smoke. Don’t just reject it by the lack of flavors, we would recommend you test it out once. Okay, so we have taken you through the best 3 vapes which can help you in quitting smoking, but will this tour enable you to quit smoking for sure? Well, no. It actually needs your strong determination. Our list will be the best help for you to fulfill your goal. 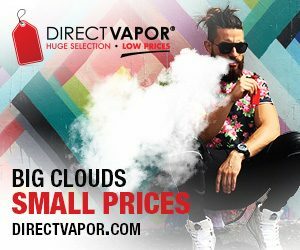 Did you know that in the result of a detailed study, CDC ( the organization which actually does not appreciate vaping) has also said that if you want to quit smoking, e-cigs are the famous and proven helpers. According to CDC, vaping can help you quit smoking. !!! If the difference between smoking and vaping is asking you to dig deeper, we can help you out. 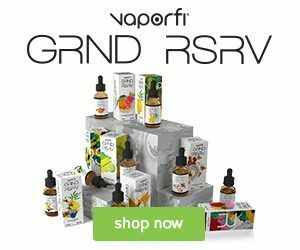 Join any forum for vaping. For instance, you can get help from Vaping Underground, Reddit (E-cig sub-forms) or E-Cigarette Forum (ECF). You can even ask us directly in the comments section. 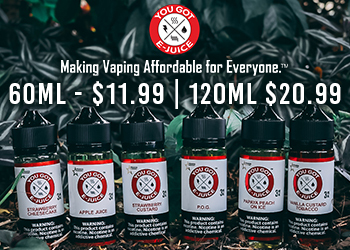 If you want more, visit the vape shop near to you and you will definitely meet someone who will give you your required information in an environment which might be more suitable and satisfying for you. Good luck with the quitting and hopefully, Happy Vaping.